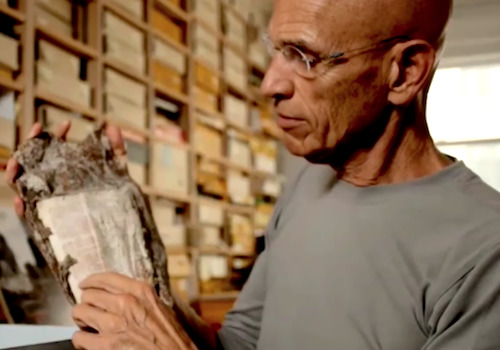 As a photographer, Joel Meyerowitz saw more than he ever could've imagined that terrible day in September 2001. 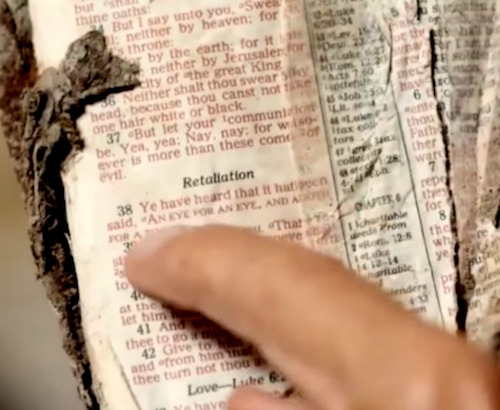 But nearly a year later, while he was documenting Ground Zero with his camera, a firefighter approached him with something peculiar in his hand. Little did Joel know, that item was a Bible, and it was forever bookmarked on a specific page. 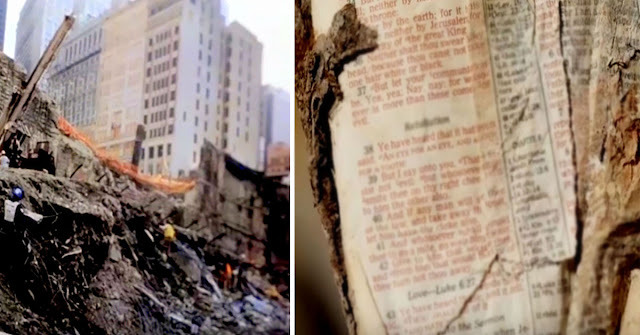 The Bible had fallen from one of the burning towers and melted together with a piece of burning steel, and was found months later under the Tully Road, which served as a temporary truck route during the aftermath. On the page was the chilling passage, "Ye have heard that it hath been said, An eye for an eye, and a tooth for a tooth: But I say unto you, That ye resist not evil: but whosoever shall smite thee on thy right cheek, turn to him the other also." There was no question in Joel's mind that the page was turned to this passage for a reason - so Joel placed it in his office with other precious artifacts until 2010, when he turned them all over to the 9-11 September 11 Memorial. Watch the chilling video below - but be prepared to shed a tear or two.